Nestled in a luxuriant rainforest on its own private island, mid-stream in the mighty Nile, Wildwaters Lodge is breathtaking. Thick riverine forest naturally covers the island and each of the ten timber-floor rooms is nestled amidst the forest with private views over the River Nile and its rapids. 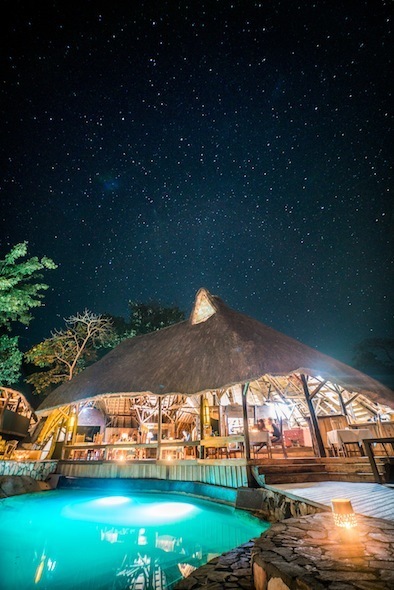 The expansive, canvas walled, traditionally thatched rooms each boast private decks with elegant free-standing baths and wash basins carved from the local pink granite. Softly lit with hand made furniture, you can relax in comfort on this island paradise listening to the thunder of the Nile rapids, and the calls of the many species of bird who call the island home. Elevated wooden walkways gracefully link the rooms to the restaurant and bar area and offer an unforgettable walk through the heart of the forest. The main lodge is located quite unbelievably on a solid rock peninsula, amidst the rapids of the River Nile. Relax here, cooled by the constant breezes from the racing rapids or plunge into the adjacent natural swimming pool, carved by the river over millennia from pink granite. This is the ultimate location to enjoy one of the last wild areas of the entire Nile. The lodge is at the heart of the newly formed Wildwaters Reserve, a group of mid-stream islands in the Nile, mostly widely recognised as the home for the legendary whitewater rafting on the Nile. They are also home to river otters, giant monitor lizards and hundreds of species of birds. The lodge is the centre-piece for a conservation initiative aimed at protecting this pristine riverine environment for future generations, in part by ensuring that the local communities benefit directly from the visitors to the lodge and the protection of these beautiful, heavily forested islands in the Nile.